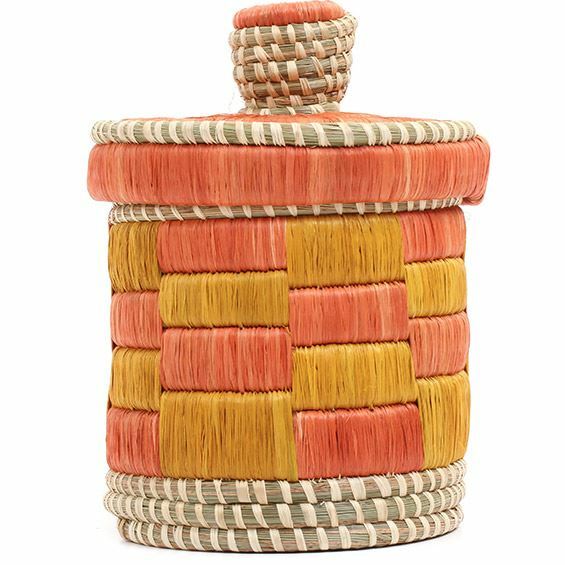 Handwoven from smooth raffia fibers wrapped around native grasses and reeds, these canisters are and beautiful and useful. The term "Njulu" refers to the beautiful, exposed grass coils which are sparsely woven with strips of raffia. This handmade canister features simple, bold patterns created by wrapping multiple coils at a time instead of weaving over individual coils.